Trusts in Pekin, IL | Contact Brave Law Center, P.C. Your estate is comprised of everything you own. This includes your home, car, investments, checking and savings accounts, life insurance, furniture, and other personal possessions. Everyone has an estate, and no one can take their estate with them when they die. A trust may fit into your estate planning needs. At Brave Law Center, P.C., our experienced attorneys can help you navigate estates law and trusts in Pekin, IL. To get started, call (309) 685-7900 today to schedule your free consultation. An estate plan begins with a will or a living trust. A living trust is a document you create while you’re still alive that allows a trustee to hold money or property in a trust for the benefit of certain beneficiaries. Living trusts are by far the most popular choice for many people, as opposed to a trust that is created upon death. A trust is more flexible than a will and can help your heirs avoid probate court. However, it is much more complex and can’t be dissolved as easily as a will. A qualified estate attorney can help you decide whether a trust or a will is right for you. The probate process in Illinois is long and complex for individuals who have a net worth of more than $100,000. Odds are, if you own a home, your total worth exceeds that amount. 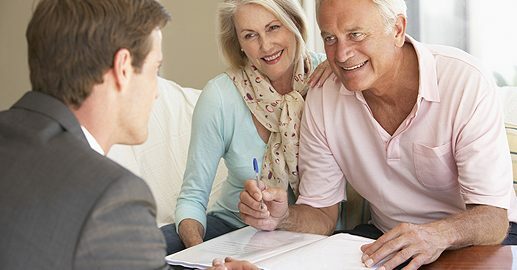 In order for your heirs to bypass the probate process, you should meet with a knowledgeable estate planning attorney. There are also several different types of trusts to consider. The attorneys at Brave Law Center can help find the right trust for you, or determine that a trust isn’t necessary for your estate planning goals. For assistance with creating trusts in Pekin, IL, contact Brave Law Center, P.C. Call (309) 685-7900 to schedule your appointment.